The lunar eclipse on September the 28th was surprisingly early in 2015 - at least for me. 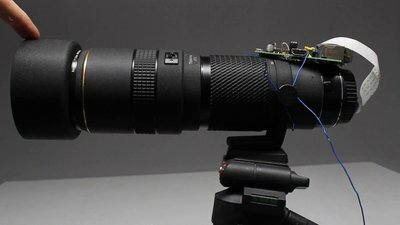 I quickly connected the camera module of my Raspberry Pi to a 100-300mm zoom lens to capture that rare astronomical event. For the linkage, the rear plastic cover of a lens has to be surface grinded and drilled with a 8mm center hole. 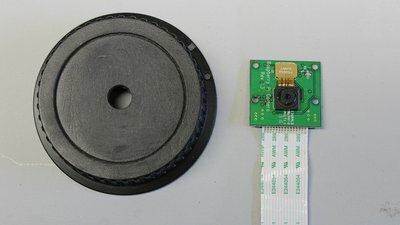 The lense of the camera module has to be removed. 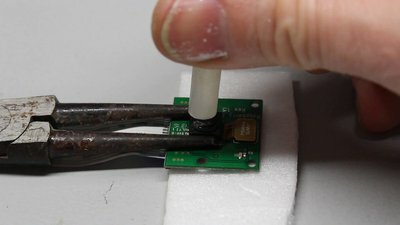 Put the camera board on a flat surface - I am using a piece of Depron as bedding layer - and keep it in place with a caliper. With a stick of could hotglue you can press on the lens and unscrew it - you can also use a pencil with a rubber at the rear end. 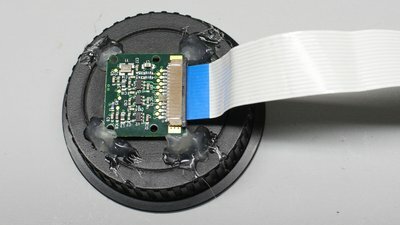 Now, you can use some hotglue at the corners of the board to mount the camera module on the plastic cover. The flange focal distance, thus the length between the rear of the lens to the plane of the light sensitive chip has to be considered to record focused images. 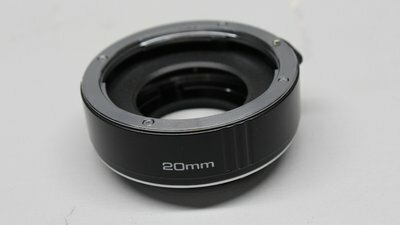 I tried several spacers and found that with 20mm best. It's no perfect solution, but on the afternoon before the event it was the best camera adapter I could create. My reasonably priced tripod is also no good solution for astronomical observations. 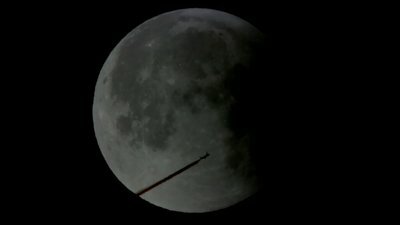 You get enormous clearance for your money, thus you can't track the moon with that "tool". 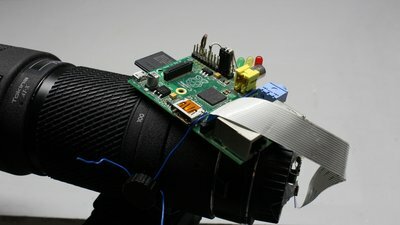 The Raspberry camera can't control the aperture of the lens. To get an aperture of less than 4 - which is the maximum - the lens can be removed from the camera body while the aperture is triggered through a special button. 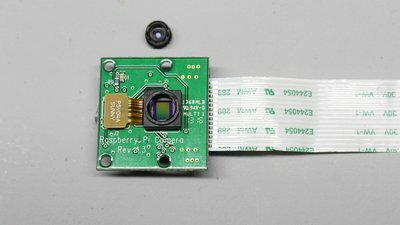 The area of the light sensor used with the Raspberry Pi camera module is clearly smaller than that of a standard camera the lens was manufactured for. 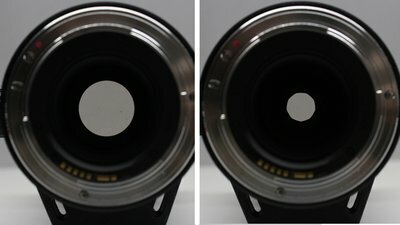 We get a crop factor of approximately 9, by what the focal length of this zoom lens gets up to 2700mm. We get a total view of the moon when adjusting the zoom to approximately 130mm, which equals 1200mm with a Raspberry camera module. Make that homebuild telescope point exactly to the moon is very tricky with that cheap construction. Considering the rule of thumb construction principles, the result is surprisingly good, however in absolute terms it is not outstanding.